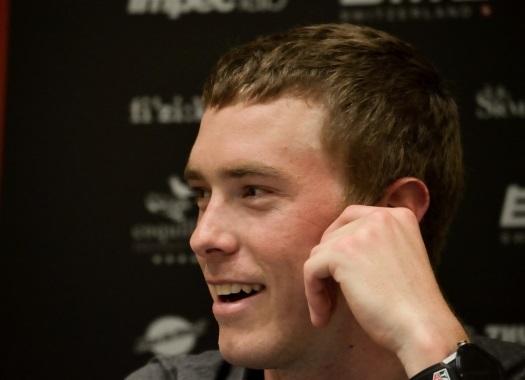 Rohan Dennis of BMC Racing Team is the first leader of the Vuelta a España after winning the opening time trial on Saturday. The Australian also wore the Red Jersey after the first stage in 2017, but at the time he did so by being the first BMC rider to cross the line at the end of a team time trial. This time, he had to compete on his own and had to deal with the pressure of being the favorite. "(Michal) Kwiatskowski put on a lot of pressure," he explained. "Honestly I was hoping that his time would be a little bit slower so there would be less stress going into it. But in the end you can only do what you can do. I just put everything out there and hoped for the win. "I knew that basically the race finished at the top of the hill and you can't really take any time out from there. You might lose one or two seconds but that's it. So I just went all in until the top." Dennis was not particularly concerned by joining a select list of riders that have taken individual stage wins in time trials at all three grand tours. "I was just thinking about trying to get an individual stage win at the Vuelta. To top off stage wins in each grand tour, whether it was a time trial or not didn't bother me. The first goal was to get a win in the Vuelta especially after doing what I did in the Giro."